It’s very common in Rome to stuff focaccia, to make sandwiches with ham and cheese, salami, whatever. 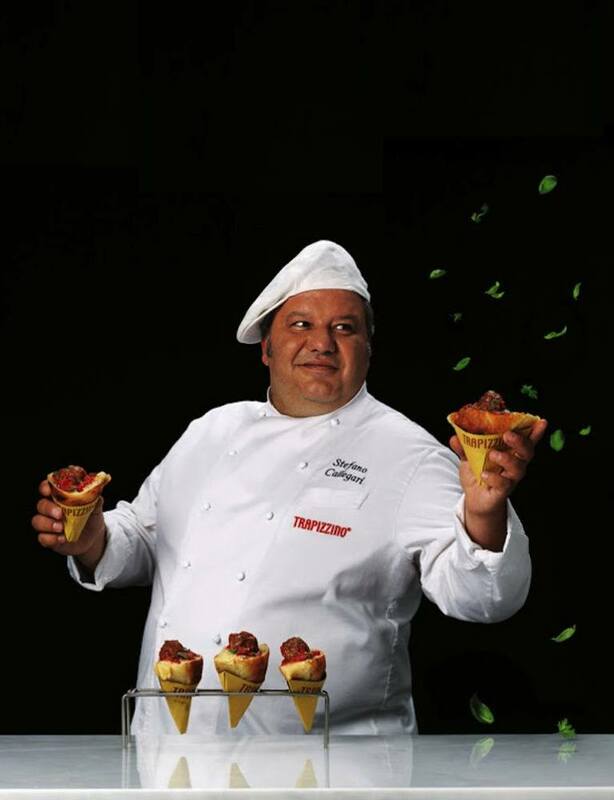 Stefano thought “if I want to do the same, but with sauce, like all our traditional dishes, what could I do? 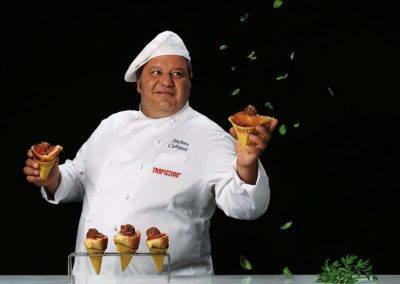 I then I realized I could use the corner of the pizza like a pocket”. 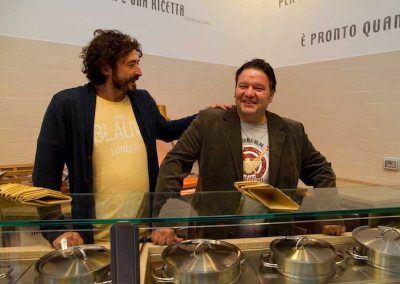 This is a modern shape for a traditional food. 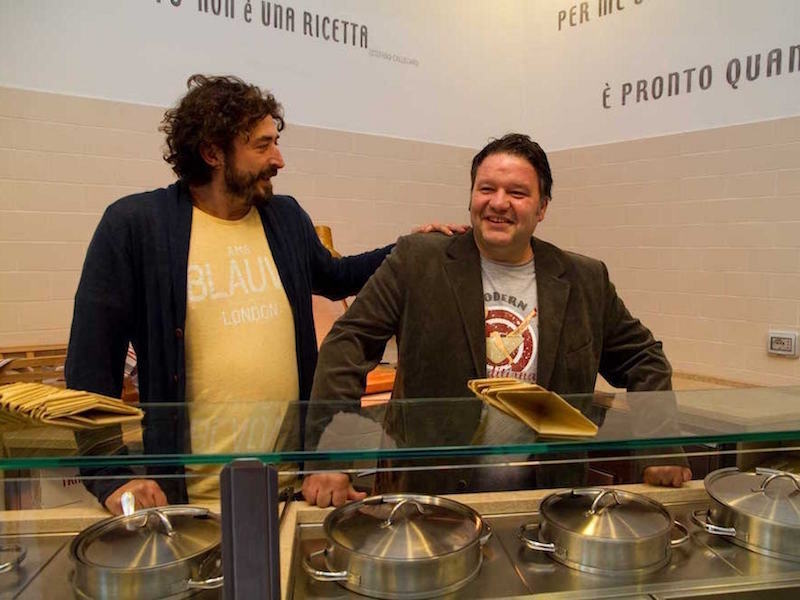 It all started in Testaccio, the district symbol of the capital’s cooking tradition. Gluttony, technique and imagination helped him to take the step that took him from pizza to an invention guided by an equally playful and delicious goal: the takeaway stuffed pizza. 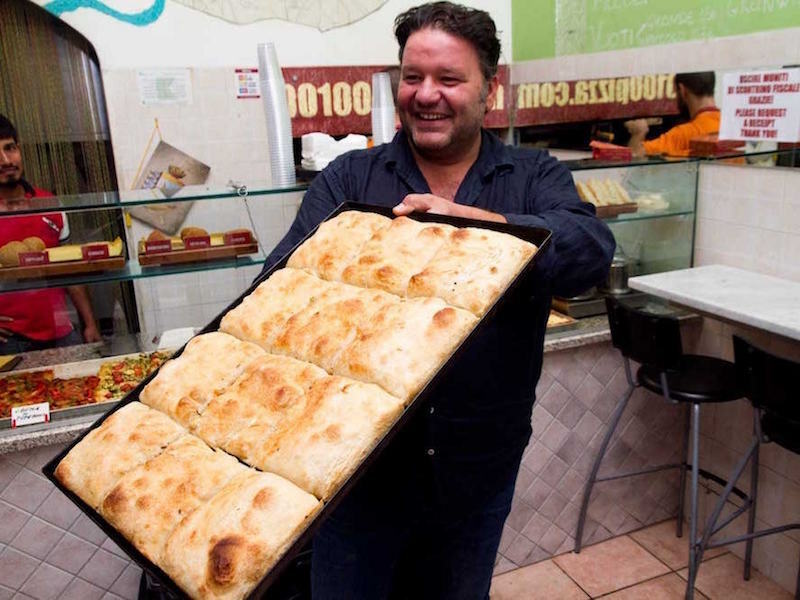 Or, even better: take the unique taste of a home-made sauce and combine it with a pizza that can host it. That was the birth of the Trapizzino. 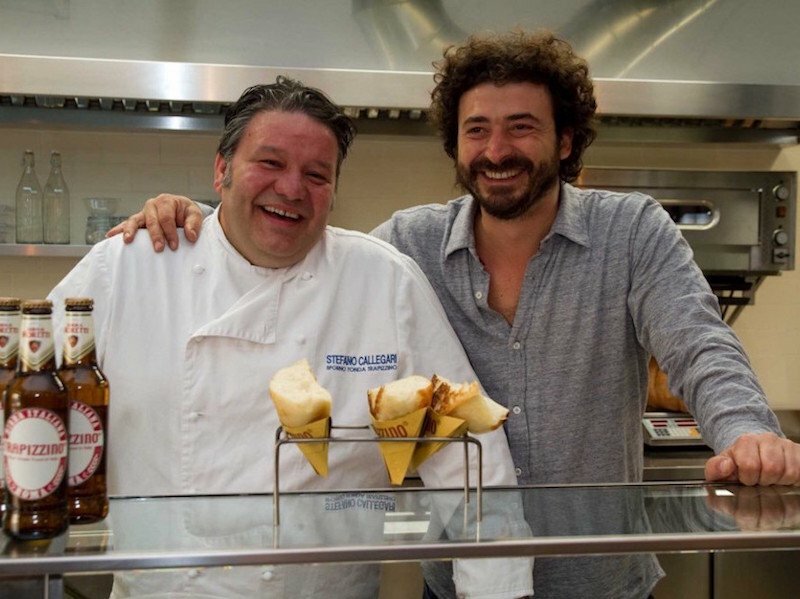 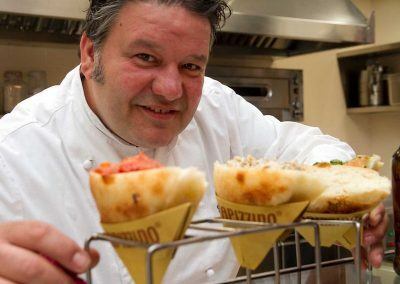 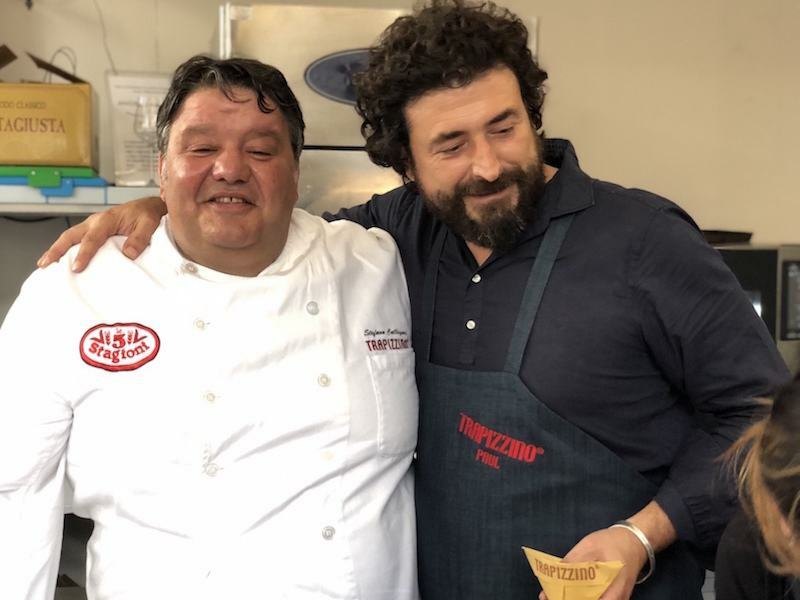 And so, the Trapizzino and Stefano Callegari succeed in the enterprise of bringing a pizzeria to the gastronomic guides. 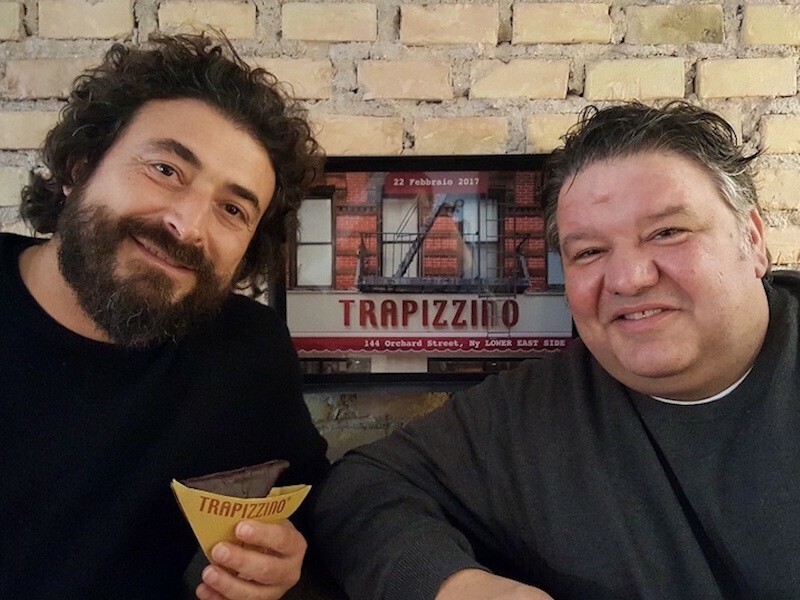 The Trapizzino takes flight and, in 2013, becomes independent from 00100 pizza to become an independent brand with the association of Stefano Callegari and Paul Pansera. 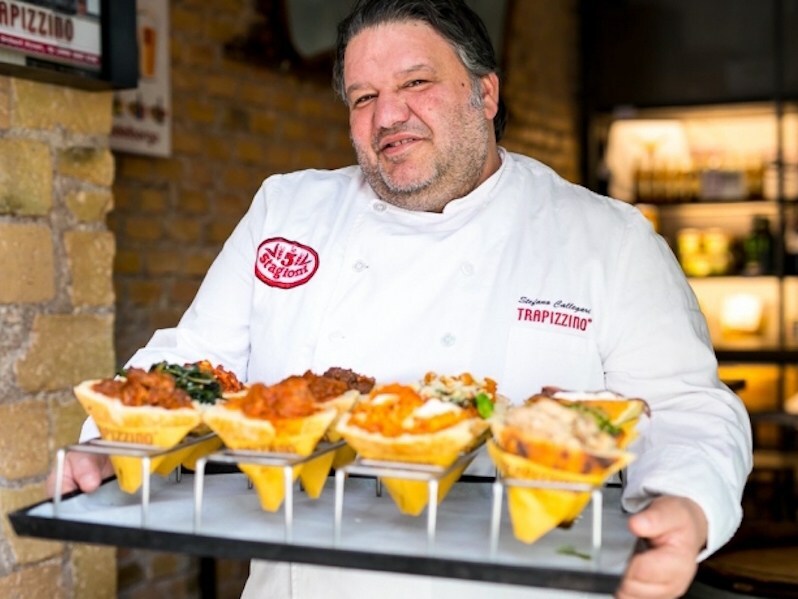 introducing the idea of a multi-purpose venue open all day. 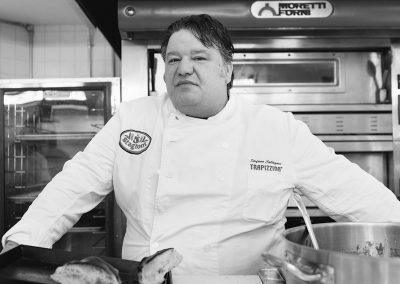 He is a lifelong friend of Stefano and has closely followed the evolution of Trapizzino for a long time. 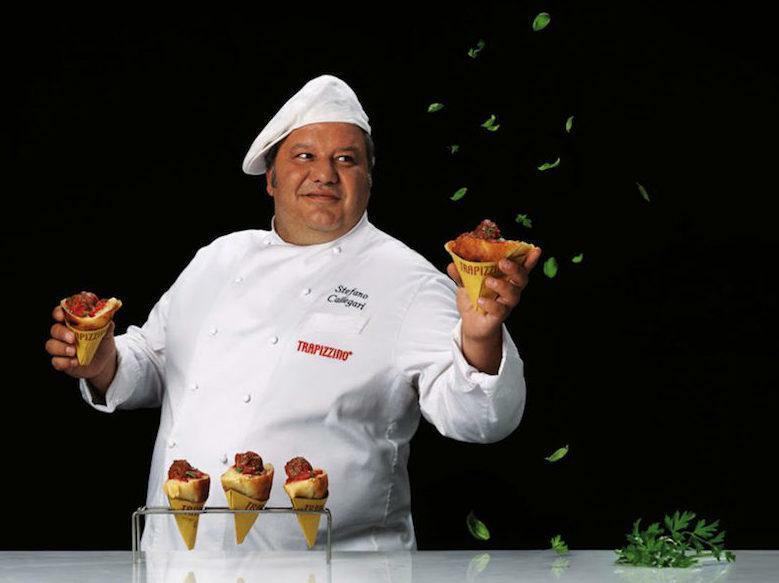 He is deeply in love with the product and dreams of making it known all over the world. 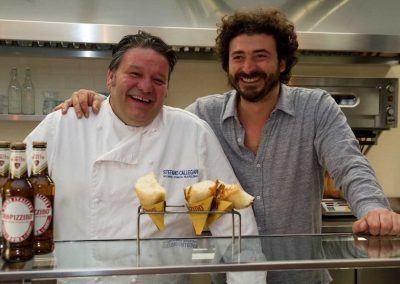 It took him a short time to convince Stefano that this was a realistic dream. 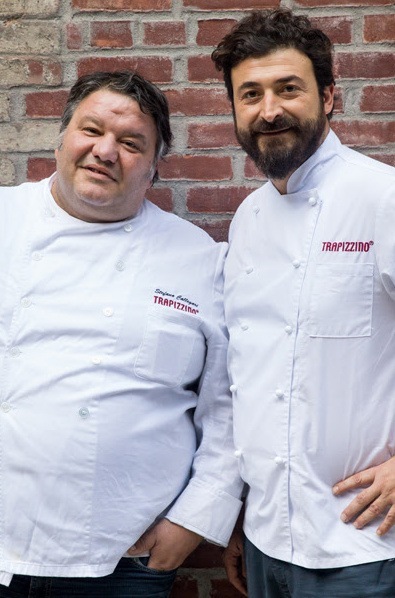 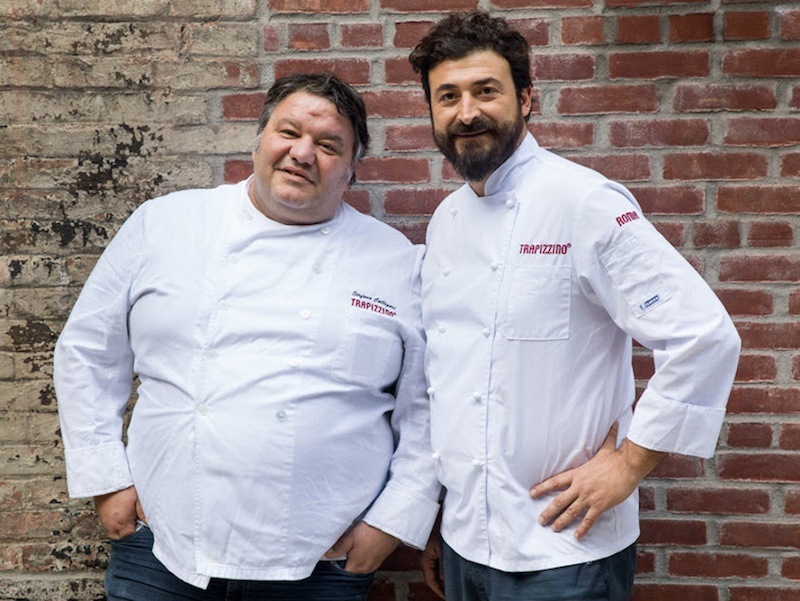 Together, Stefano and Paul brought Trapizzino to Italy and around the world, right up to the heart of New York. 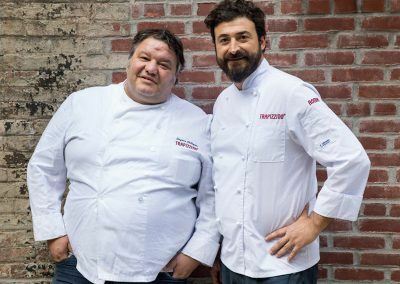 The beginning of a story born of the desire to bring young people closer to the cuisine of the past, not that of fast food but that of the right times and ways, the cuisine of “it takes as long as it takes” and to the love for choice of raw materials.